Earlier this week I showed you my new hot beverages zone and I shared tips to help you create one too. I love my hot beverages zone because it is organized and practical, but I didn't do much to make it pretty. Since I know many of you have more of a decorating or crafty bone than I do, I thought I'd share some really cute hot beverage stations to inspire you. 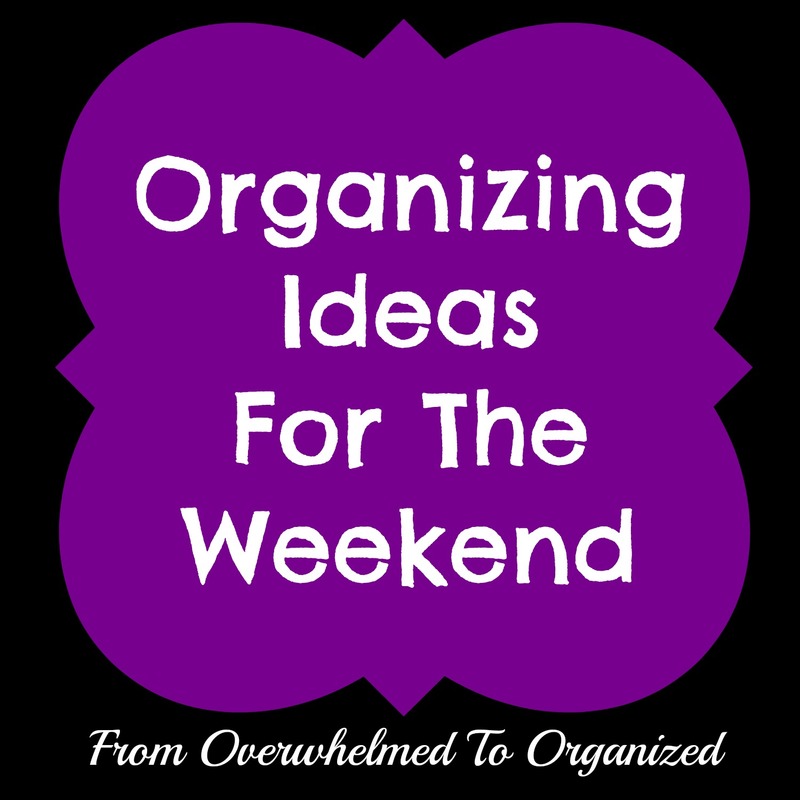 This way you can combine my organizing tips and these creative ideas to make your own awesome hot beverage zone this weekend! 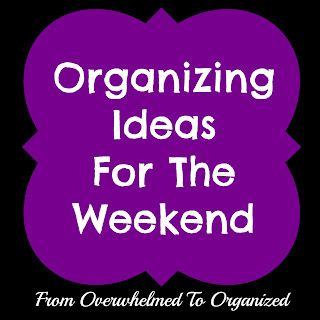 Ready to do some kitchen organizing? Today I'm back to the series I started in November on tips for organizing your kitchen (before I decorated too soon for Christmas and had to put the series on hold). This week I'll be showing you a few more zones in my kitchen. 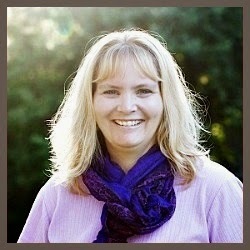 And I'll continue the series in February because I've got lots more tips to help you organize your kitchen. Today, I want to share my new hot beverages zone! I know many people in the 365 Items in 365 Days Facebook group have been pumped to declutter in January and have done a lot more than 24 items! 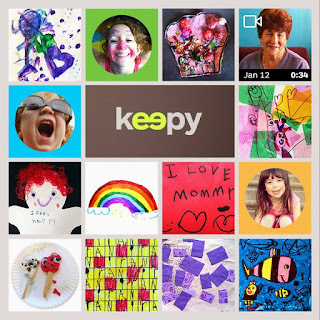 I've been amazed to see all the decluttering that's been going on in that group! Kitchen cupboards, bedroom closets, linen closets, craft supplies, magazines, toiletries, kids' school work, holiday decorations, socks and undies... and I could go on and on. And that's just in the last few days! 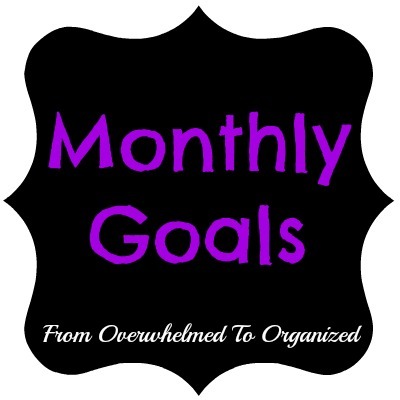 Want to see what I've been decluttering the last few weeks? If you made new year's resolutions, are you still working towards them? 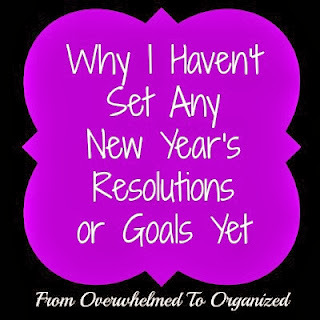 Resolutions work well for some people, and if you're sticking to yours, then that's great! Good for you! But many people give up on their resolutions within a few days. But then we beat ourselves up for not succeeding. And then make the same resolutions next year. The cycle continues, year after year, without very much actual change or growth. The thing is, resolutions are usually "all or nothing", and that makes them hard to achieve. This has led many people to set goals instead. I like goals. Good goals help you see and measure your progress along the way. They give you something to shoot towards so you aren't wandering aimlessly through life, year after year, lamenting about how quickly time flies. 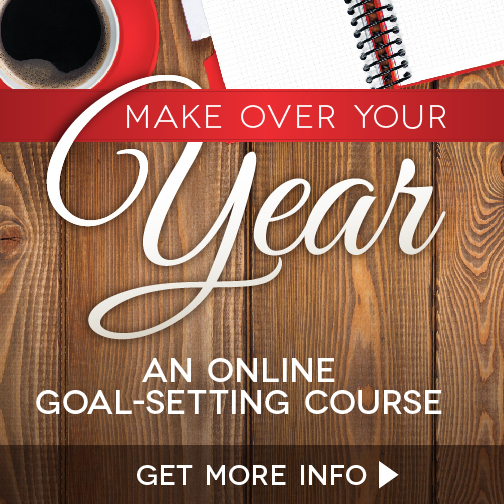 You can break goals down into smaller goals, which help you achieve them, and feel good about yourself along the way. My problem is that I set too many goals usually. And I pack my days so full of tasks, designed to help me achieve my goals, that I can't possibly finish everything. But then I get discouraged. 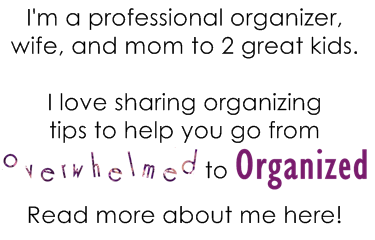 Are you overwhelmed by clutter in your home? Do you find it difficult to consistently de-clutter your home? Are you motivated by friendly competition and the accountability of a challenge? 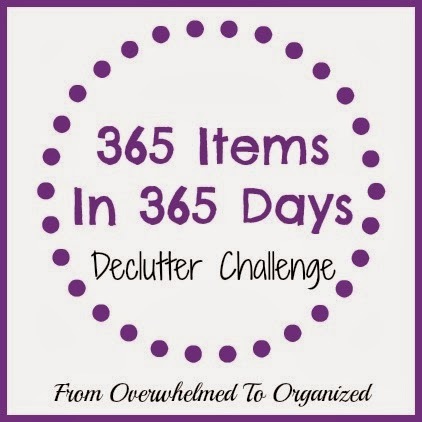 Then the "365 Items in 365 Days Declutter Challenge" is for you! 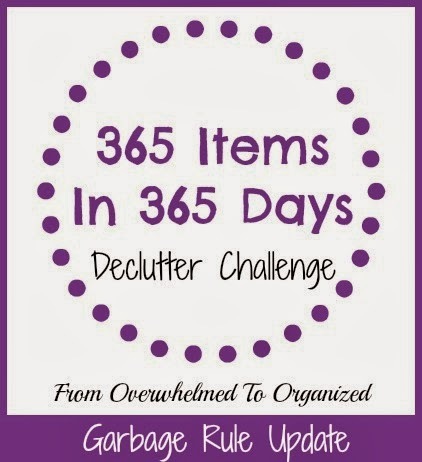 The goal of this challenge is to purge 365 items from your home in 365 days. That's an average of 1 item per day. You can do it on a daily basis or you can do it weekly or monthly. Whatever works for you! With a new year, it's the perfect time to declutter. It's also a common time to set goals. 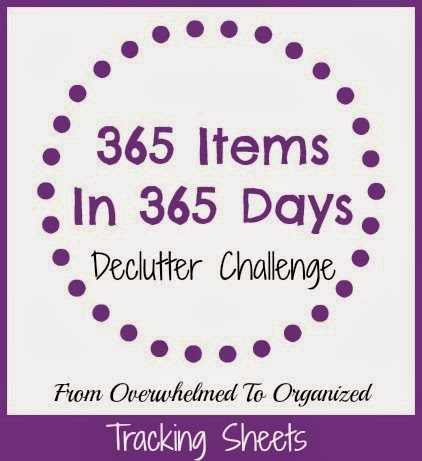 So will you join me in decluttering 365 items in 365 days? 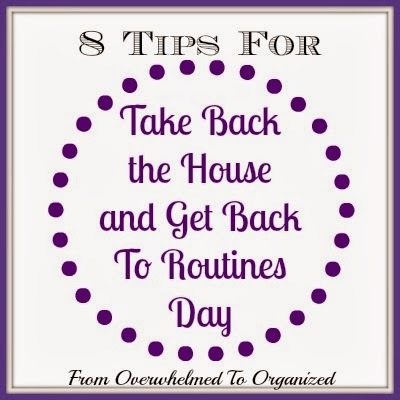 8 Tips for "Take Back the House and Get Back to Routines Day"! What? You've never heard of "Take Back the House and Get Back to Routines" day? With all the crazy holidays out there, I'm surprised Hallmark hasn't picked up on this one! I love the holidays and the lack of structure. It's often a little crazy before and during Christmas with everything that needs to be done and all the gatherings and events to attend. But around here, the days after Christmas/New Year's were relaxing and fun. But, I also love structure and routine, and an uncluttered house. Which is what today's all about! This morning I'm sharing what I did last night and what I'm doing today, to take back the house and get back into routines. 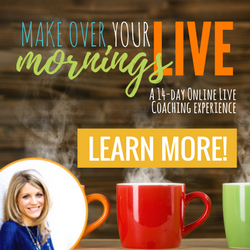 And along the way I'm sharing 8 tips to help you do the same!